Nothing says winter like human hibernation: piles of blankets, hot chocolate and binge-worthy shows. But how do animals that don't hibernate stay warm? See video of alligators in extreme cold. WASHINGTON — Nothing says winter like human hibernation: piles of blankets, hot chocolate and binge-worthy shows. But what do animals that don’t hibernate do in the winter? Alligators rely on the sun to warm their bodies and increase their metabolism. They can live in water as cold as 40 degrees. 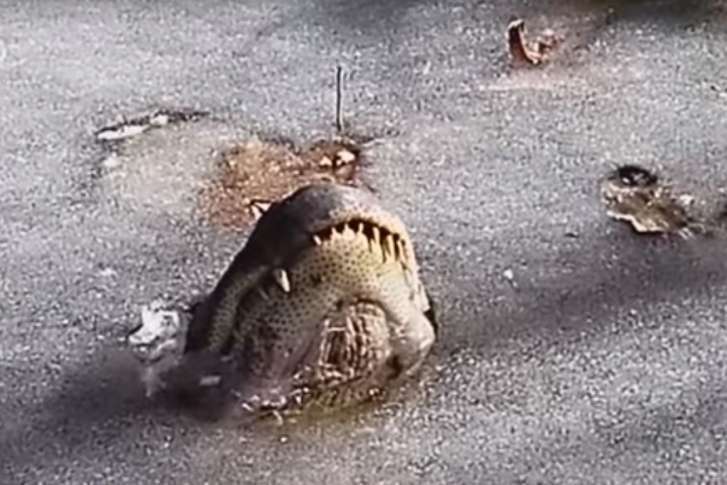 Here’s what alligators do in extreme cold, according to The Swamp Park in North Carolina, where video of these icy alligators was captured. When the temperature drops lower than 40 degrees, as it has across the country in recent days, alligators go in to a hibernation-like state called brumation. Their metabolisms slow down dramatically and they become lethargic. The reptiles will then drop down to the bottom of a body of water, where they can hold their breath for up to 24 hours. And when they need to breathe, they surface and peek their nostrils out of the water.